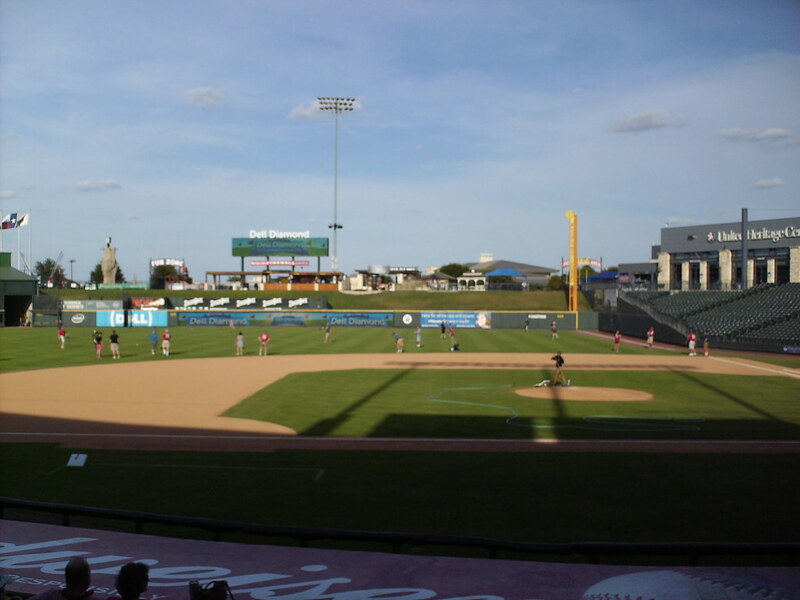 The view from behind home plate at Dell Diamond. 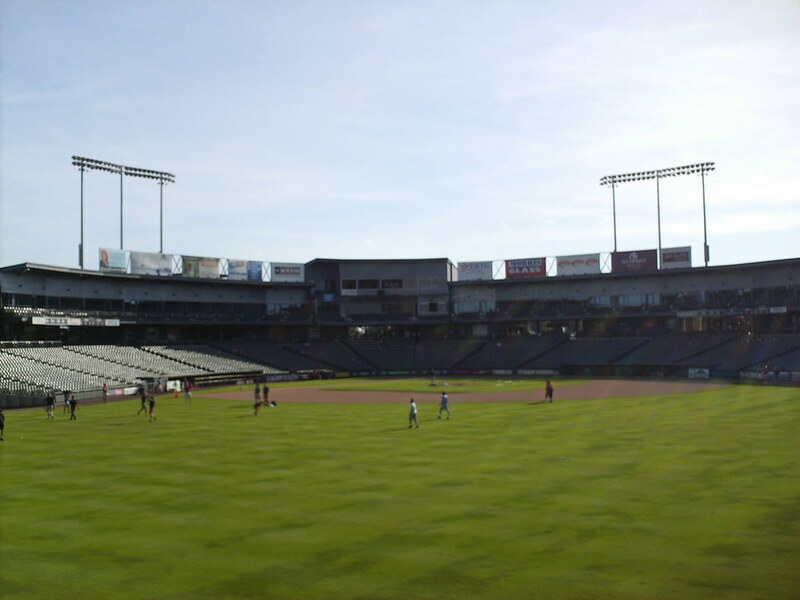 The grandstand at Dell Diamond, as seen from center field. 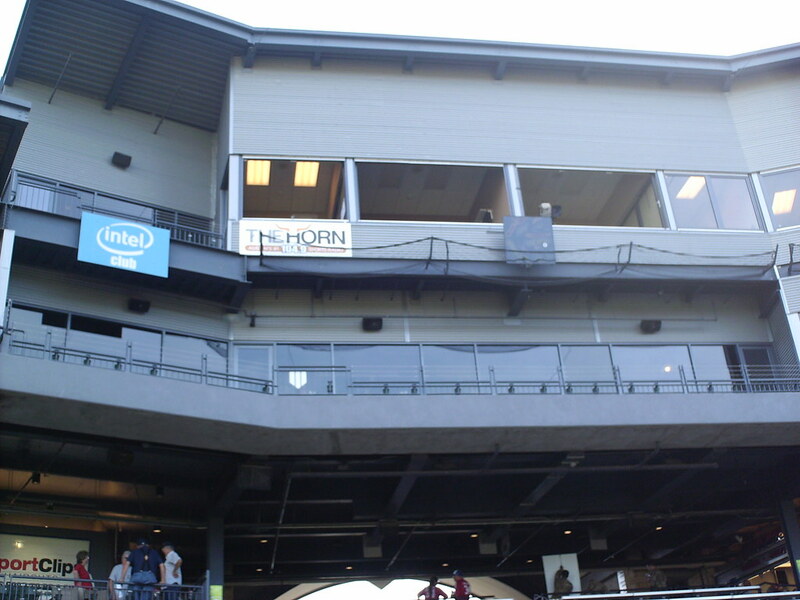 The pressbox sits atop the luxury boxes behind home plate. 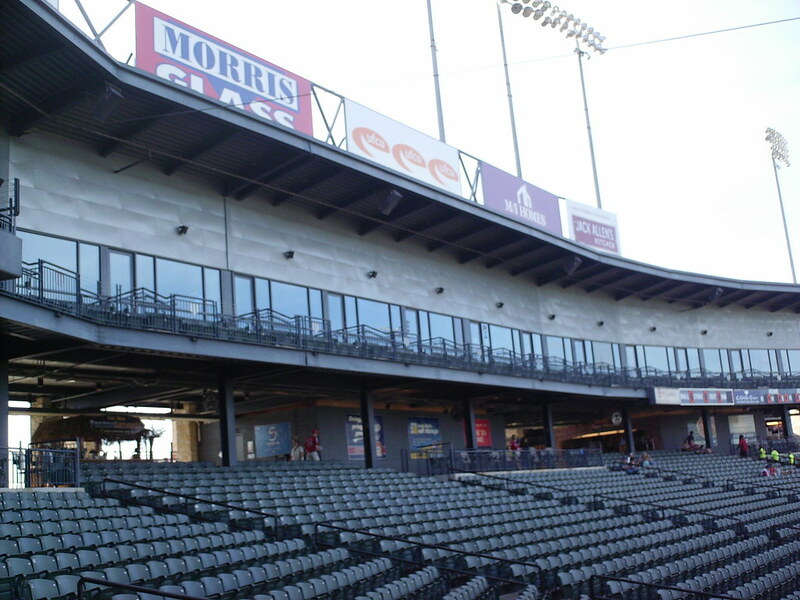 Luxury suites sit on the second deck, with billboards running along the ballpark roof. 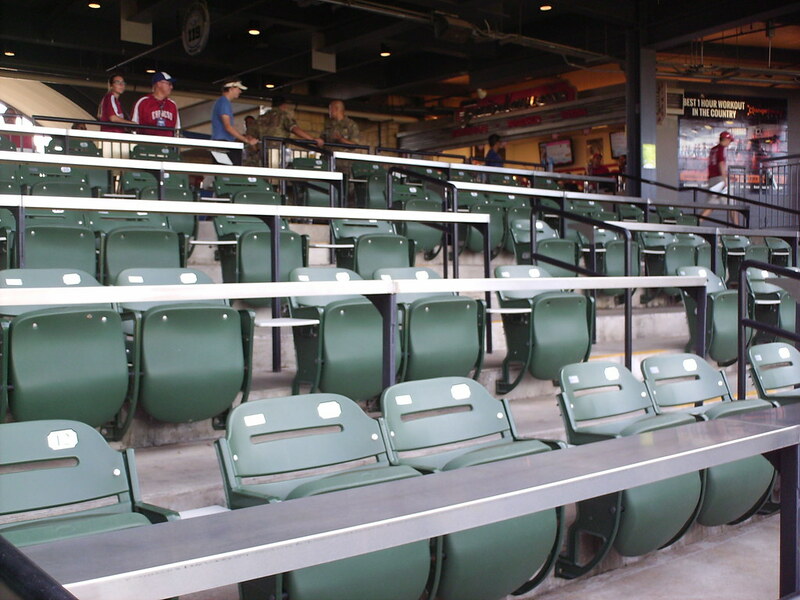 Boxed seats behind home plate feature padded chairs and drink rails along the aisles. 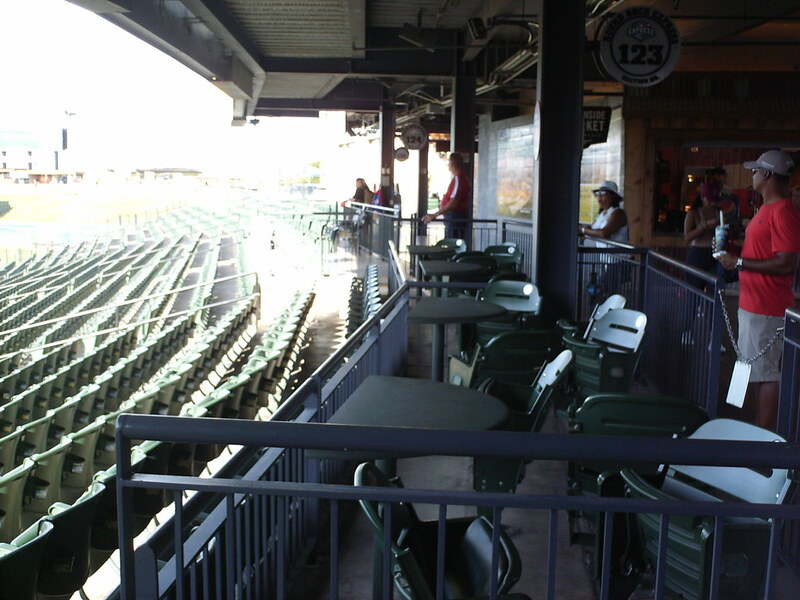 4 Top table seating runs along the top of the seating bowl on the main concourse. 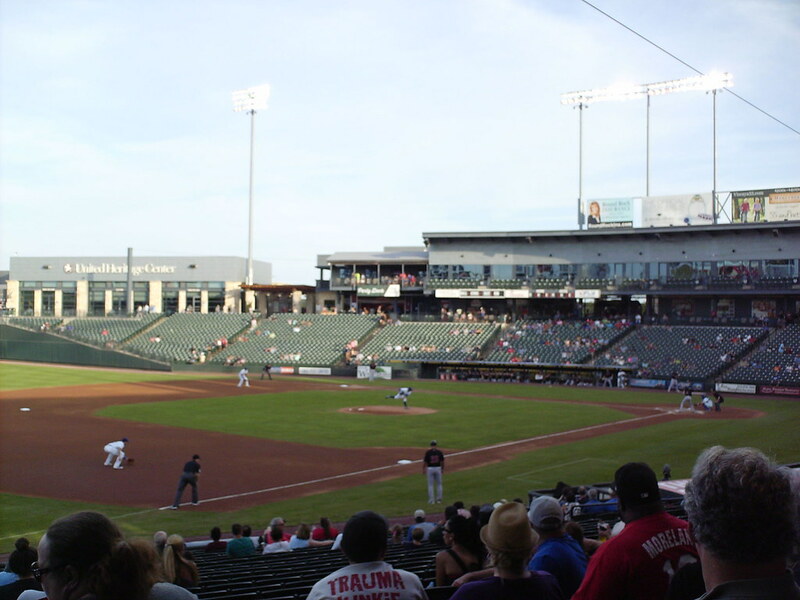 The seating bowl wraps back around to face home plate in the outfield corners, leading to a field with lots of foul territory along the infield and very little in the outfield. 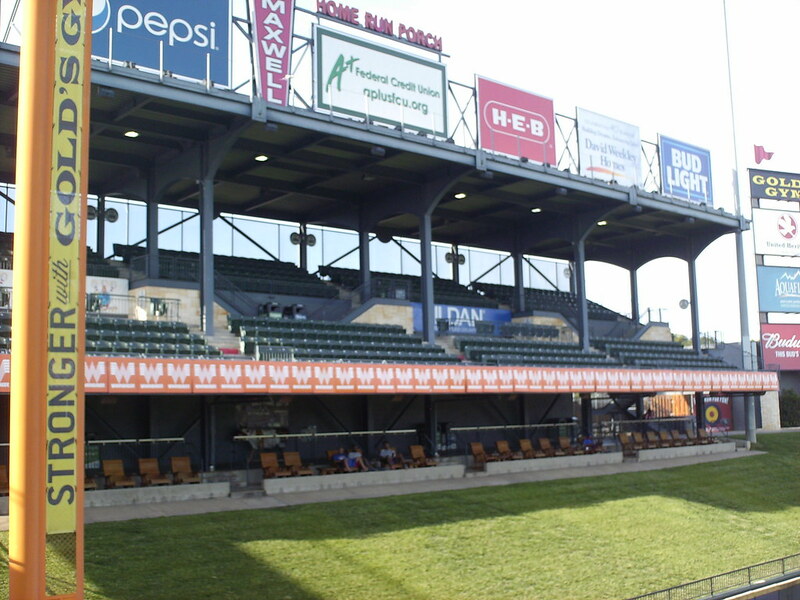 A covered bleacher section sits behind the left field wall at Dell Diamond, reminiscent of the right field bleachers at Arlington's Globe Life Park. 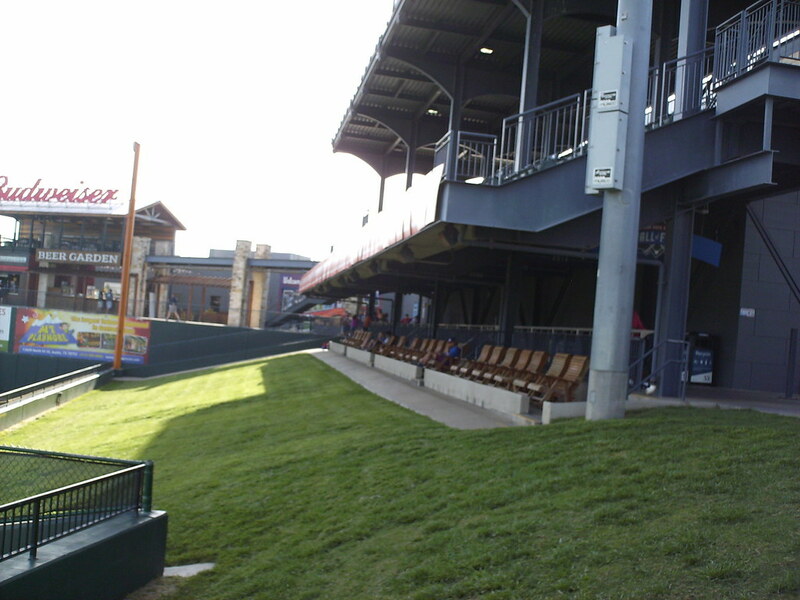 Rocking chairs sit above a grassy berm underneath the bleachers in left field. 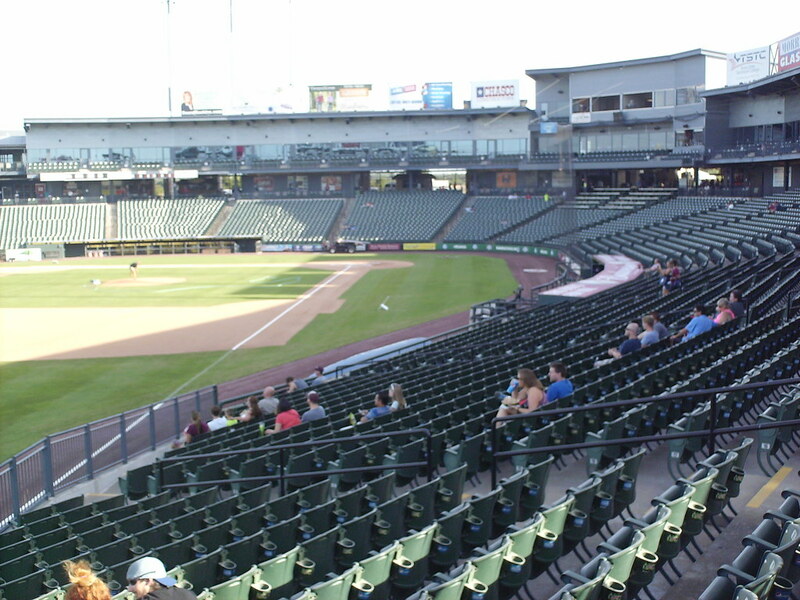 A conference and event center in the right field corner of the ballpark can be used as party and group rooms during games. 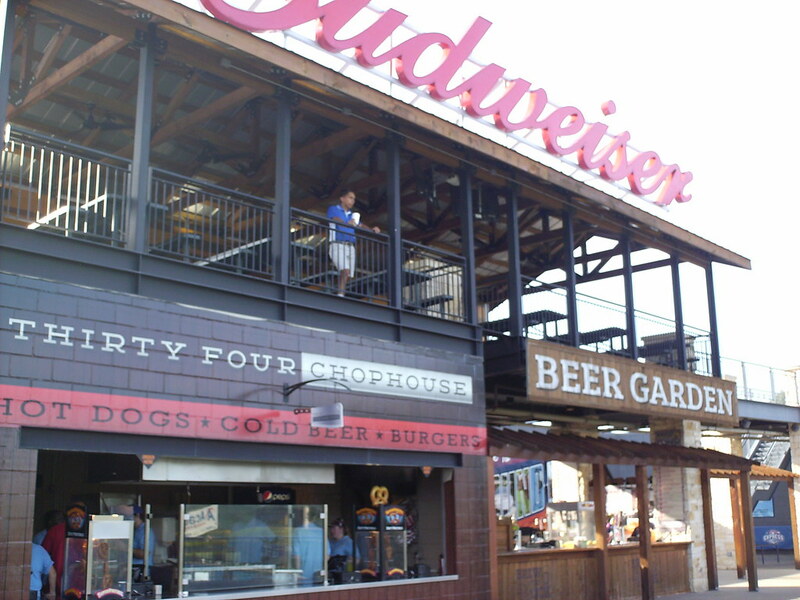 A multi-story bar and picnic area sits along the third base concourse. 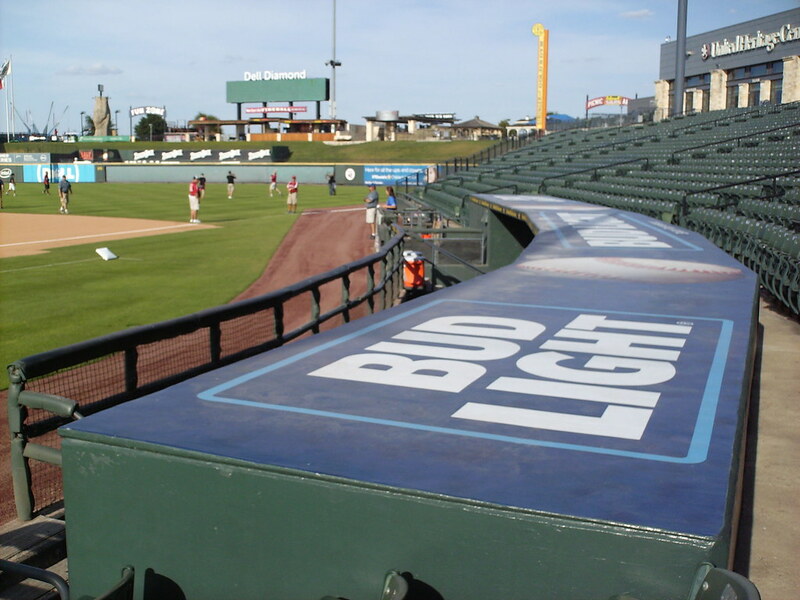 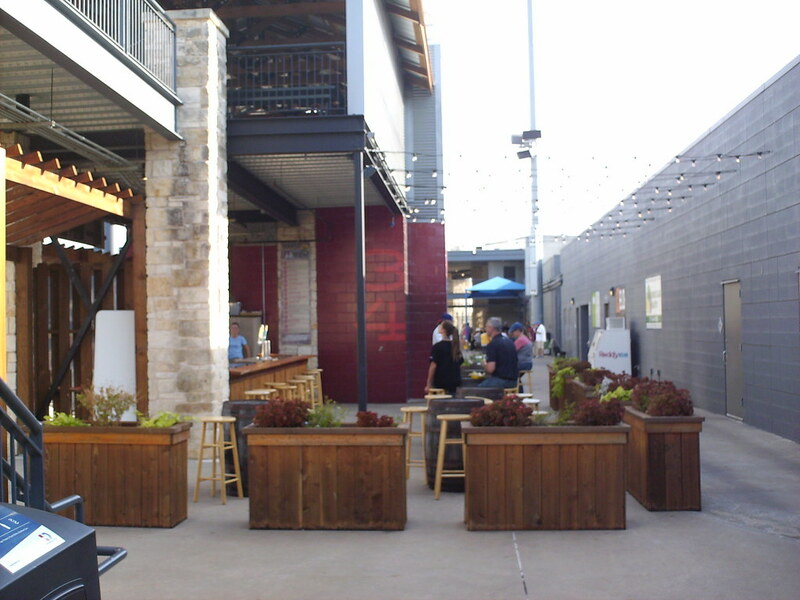 A beer garden sits underneath the third base picnic deck along the wide concourse at Dell Diamond. 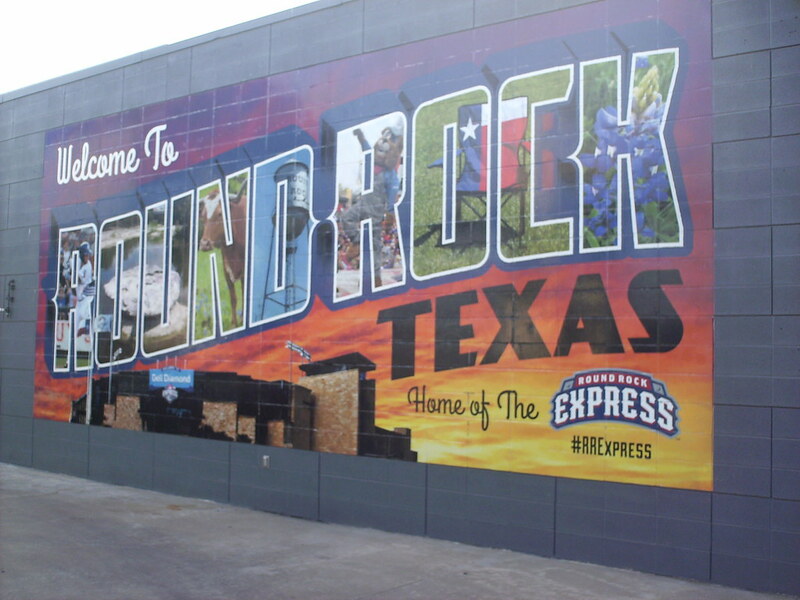 Round Rock is a suburb of Austin and a mural along the concourse evokes the famous postcard mural in downtown Austin. 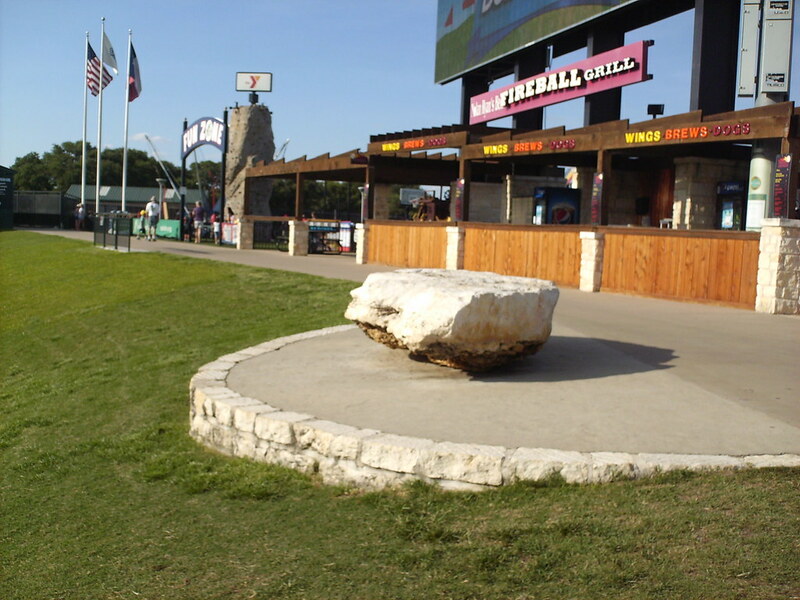 A small round rock at the top of the center field berm is reminiscent of the landmark stone that gives the city its name. 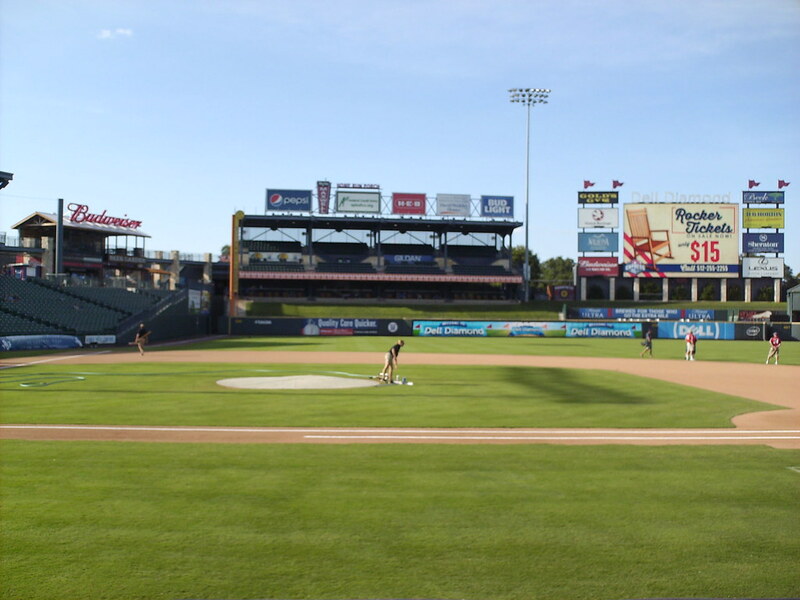 It sits in front of a picnic area and children's playground on the outfield concourse. 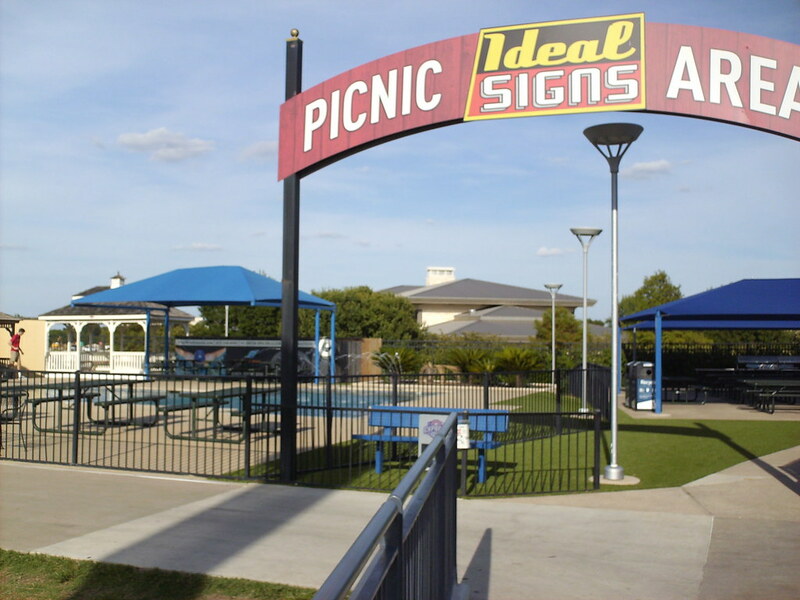 The outfield picnic area features a swimming pool alongside its group seating areas. 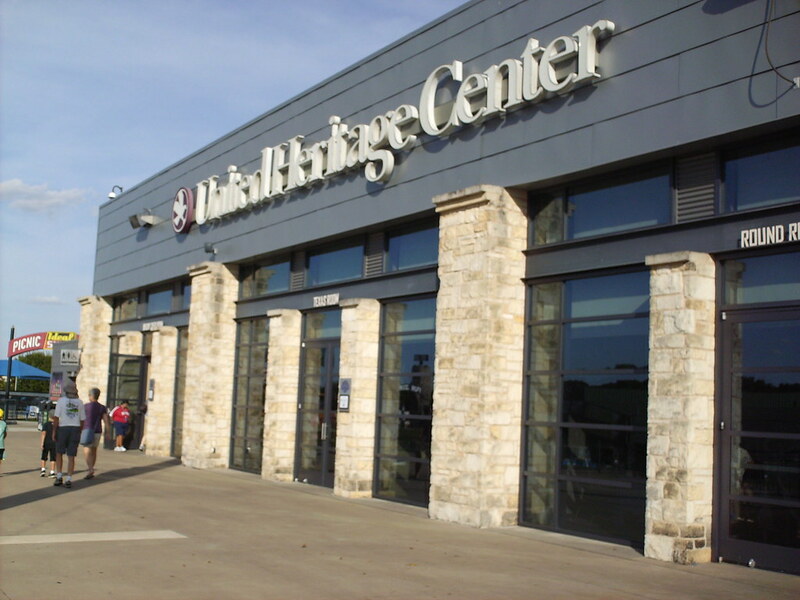 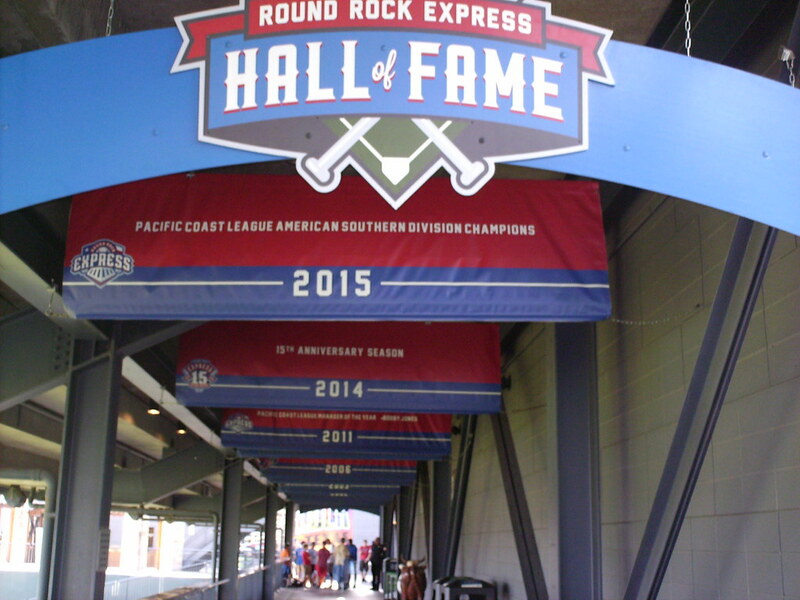 The Round Rock Express Hall of Fame underneath the left field bleachers celebrates great moments and players in the team's history. 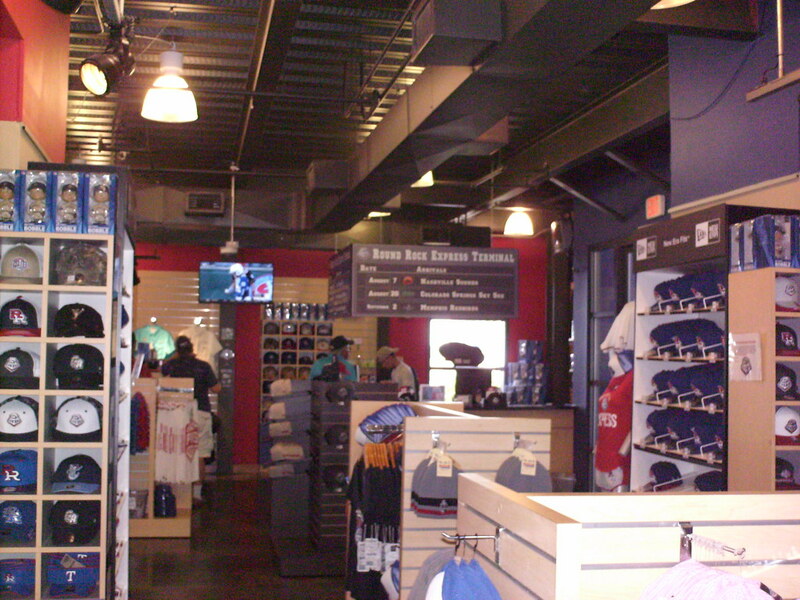 The souvenir store embraces the team's train theme with a departures board announcing the team's upcoming schedule. 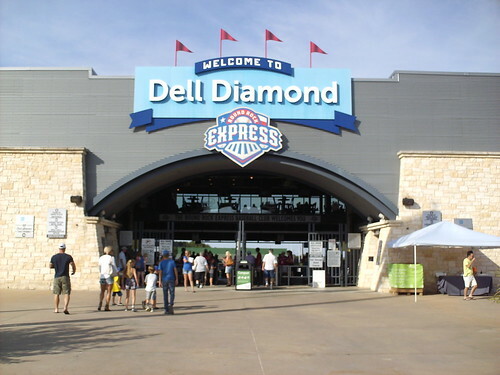 The Express' dugout curves around the field of play, rather than running straight down the line like in most parks. 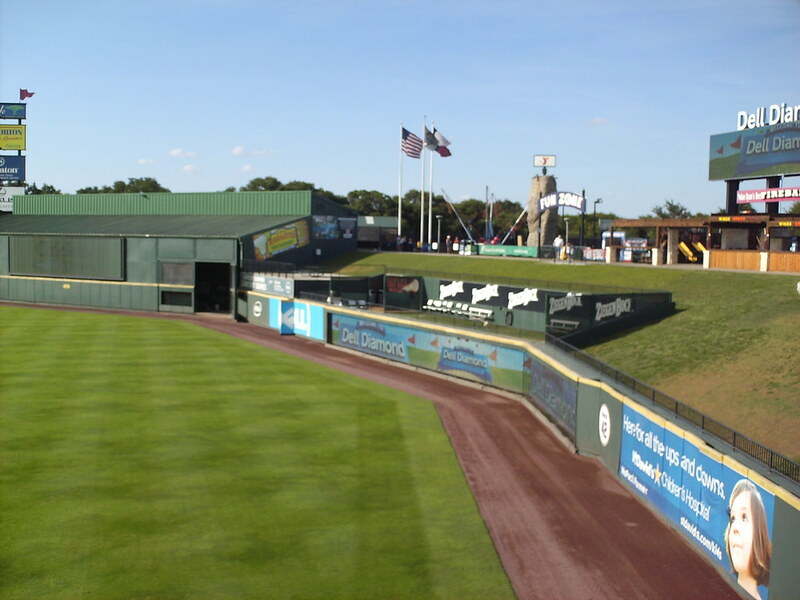 The bullpens are cut out of the outfield berms, and the outfield wall makes several sharp corners. 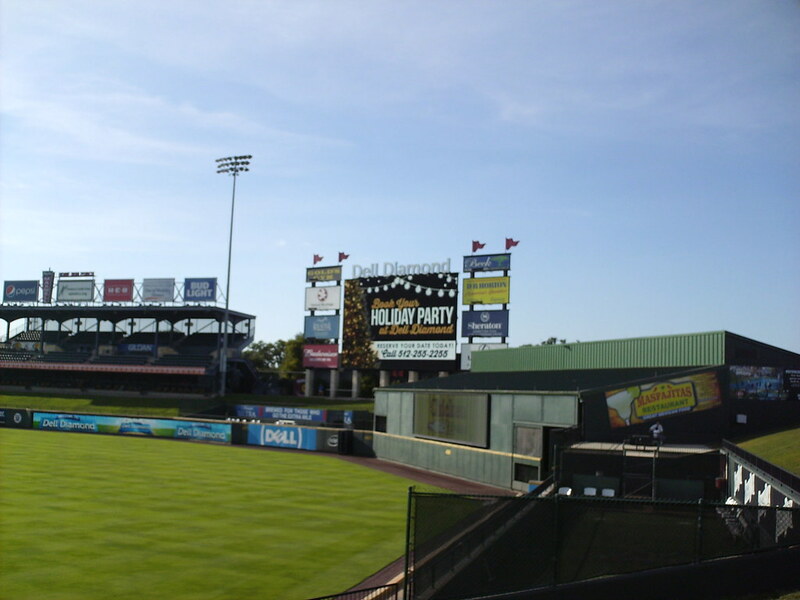 The scoreboard sits behind the left center field wall. 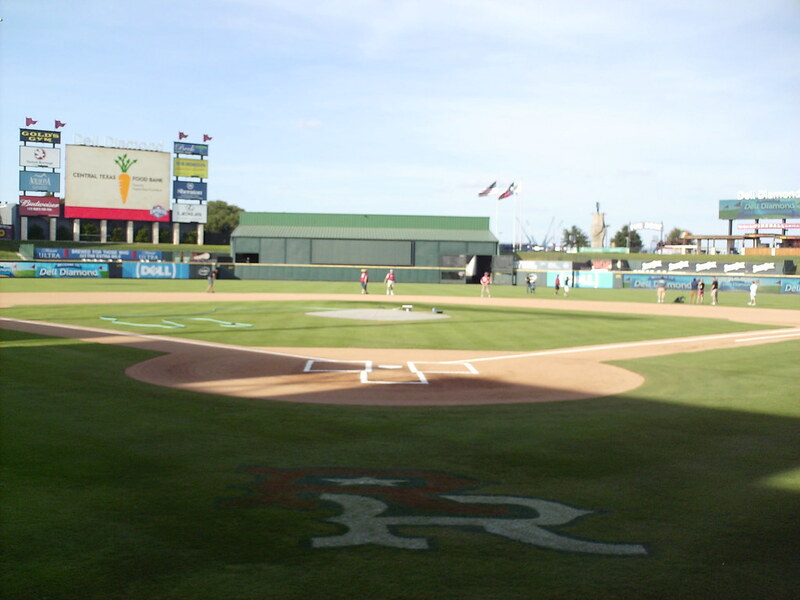 The Round Rock Express on the field during a game at Dell Diamond.